Easy Photo Unblur 1.0 was available as a giveaway on January 31, 2017! Easy Photo Unblur improves the quality of camera shots by removing excessive noise and sharpening the blurred objects. Making photos in motion or unfavorable light conditions often results in blurred or noisy shots. With Easy Photo Unblur pictures become crystal clear thanks to smart digital optimization. The program algorithms unblur photos by detecting misfocused objects and intelligently cleaning the noise. The program offers a range of unblur pics modes with adjustable parameters – smoothing radios, detalization, noise pre- and post processing. Depending on the noise intensity, you are free to use different unblur image modes to fix the handshake, misfocuse and motion blur. 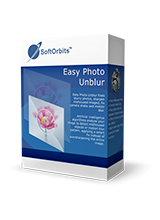 This unblur picture app supports batch image optimization that is much faster than unblur photos one by one. Just drag and drop the image folder to the app and start processing. How would you improve Easy Photo Unblur 1.0? Easy installation, receipt of the registration key, and actual registration. Seems to be a really nice program that I know I can use! Many thanks to GAOTD and SoftOrbits! Yes, if you are comfortable with Photoshop, you have more control and can do a more precise job. you can do better (and they will be somewhat faster, although maybe not a lot). But for those times when you just want a quick and simple adjustment tool, not bad. Will keep this one around. Not bad. Not bad at all, especially for the price.-) Yes, if you are comfortable with Photoshop, you have more control and can do a more precise job. And if you buy specialty denoise and deconvolution software, you can do better (and they will be somewhat faster, although maybe not a lot). But for those times when you just want a quick and simple adjustment tool, not bad. Will keep this one around. Well that was real fun, as I didn't know this improvement was even available. I just spent a worthwhile hour going through one of my family files on the grandchildren. Tiny tots never stay still, so there are a lot of Blurry photos to improve and this program does just that. Of course others have Pricey programs and yet others have Free that they have played with for several hours perfecting to their own likes, well... good for them. But there are also people like me that want instant enjoyment to improve their photo albums and this is what I got from Easy Photo Unblur, thank you so much for allowing me to try it. Well that was real fun, as I didn't know this improvement was even available. I just spent a worthwhile hour going through one of my family files on the grandchildren. Tiny tots never stay still, so there are a lot of Blurry photos to improve and this program does just that. (from reading the off-putting reviews, I could so easily took their poor poor advice and missed this one) Of course others have Pricey programs and yet others have Free that they have played with for several hours perfecting to their own likes, well... good for them. But there are also people like me that want instant enjoyment to improve their photo albums and this is what I got from Easy Photo Unblur, thank you so much for allowing me to try it. The only drawback I noticed was the slow processing speed (checked with a 3000x4000px image). I wish there was some image snippet to try out the setting beforehand. I don't know why the settings are labeled wrong or the names imply something different, but the result is very nice. 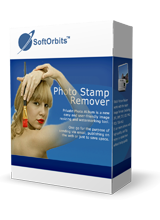 I can recommend this software, despite it being a one-trick-pony. Installed and run on Win10 x64. The first run with the default "Light" preset setting returned a very harsh sharpened image and probably would have needed some blending with the original in "post production". But then I've tried the "Strong" setting and - wow! - the result was quite good as it wasn't over-sharpening the image but just applied a decent adjustment. The "Medium" preset/setting was even better. The "Soft" preset resulted in more or less the same result as the "Medium" one. The "Gentle" setting resulted in more or less the same result as the "Light" one. So, I guess you can achieve quite good results with it by fiddling around a lot with the parameters. (Something between "Medium" and "Gentle" as a preset would have been great.) The only drawback I noticed was the slow processing speed (checked with a 3000x4000px image). I wish there was some image snippet to try out the setting beforehand. I don't know why the settings are labeled wrong or the names imply something different, but the result is very nice. 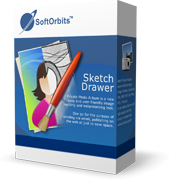 I can recommend this software, despite it being a one-trick-pony. Mostly negative comments yet rated at 83% positive. I will give it a miss, and would never pay Adobes outrageous prices. Since I am not a photo connoisseur the few changes I have needed to do over the years have been done with Paint, GIMP, or Picassa. Thanks for the https, by the way. Why did I stop receiving notifications from GOTD? I did not stop it myself, so it had to be on GOTD's end. Has anybody else had this happen? I don't know where to go to ask this particular question, but here goes: Why did I stop receiving notifications from GOTD? I did not stop it myself, so it had to be on GOTD's end. Has anybody else had this happen? Installed easily and tested with a blurred image. Not impressed with the results and wonder how anyone paying the full price of $49.99 could ever consider it good value for money. Installed easily and tested with a blurred image. Not impressed with the results and wonder how anyone paying the full price of $49.99 could ever consider it good value for money. Uninstalled forthwith. Danny, It looks like your firewall is blocking a connection. Danny, I had the same issue at the first run. I temporarily disabled my firewall and then everything went well. Perhaps this software is for people that do not have the expensive equipment your solution requires. Jose, Perhaps this software is for people that do not have the expensive equipment your solution requires. rww, Most of that works even with a cheap digital camera. if you're getting blur then use something as a tripod, such as a rock or a tree branch. I've found even the $20 walmart knockoffs have adjustable shutter speeds for shots with a moving subjuct to make them appear sharper. If you're shooting on "auto" all the time, learn how to use your camera. You can easily correct the shots with "noise" on any camera provided you actually take the time to learn how to use your camera. You can also manipulate the camera's auto focus to achieve the proper focal point you're looking for without everything being in focus. Back to learning tips and tricks that are easily googled. I've sold pictures to magazines that were taken with a $30 camera for walmart without any editing, so the expensive equipment is a moot point. That being said, taking a bad photo and using this will NOT suddenly and magically make it better. Take to much of the noise out and you will lose the "real" aspect and it will look horrid. I have no suitable pics to test it on, and all of the pics I did try looked more like it was a fake picture. All these photo 'enhancement' tools are useless to those, like myself, who have bought Photoshop or Photoshop Elements. Both do these things and much more easy and about a billion times better. If you want free, Google still puts out Picasa. All these photo 'enhancement' tools are useless to those, like myself, who have bought Photoshop or Photoshop Elements. Both do these things and much more easy and about a billion times better. If you want free, Google still puts out Picasa. bobo, they are also useless to those who have perfect photos, or people that don't need it, don't like it, don't come to gaotd, etc, etc, but anyways picassa is garbage (IMHO), maybe paint.net or even the gimp with SmartDeblur 1.27 Free Version plugin from raymondcc https://www.raymond.cc/blog/download/did/3248/, I used raymondcc because its a safe site and I always trust it (no bs). If you love google why not push nik software which has been free for a while now, just type in nik you'll find it. Registration appears on screen as readme file indicated, without need for emails or personal details. Installs fine. Good results. installed ok , it activated with the provided key. But when I tried to load a picture , the program error came up & said I don't have permission to load the file.. I will not waste my time with this program..
XP-Man, The only way to deblur a photo is with deconvolution (E.g. in Franzis' Sharpen Projects and Focus Magic), since that didn't get a mention I decided to pass. Surely deburring is deconvolution mentioned or not. A good article on it and free software is available at the following link. XP-Man, Most is just sharpening, it's much much simpler to do. Agreed so much simpler, but if that is the case why does today's download have a 56 MB program file. It does look like they are trying to use a method other than sharpening but unfortunately that is all it seems to achieve. JohnL, Agreed so much simpler, but if that is the case why does today's download have a 56 MB program file. It does look like they are trying to use a method other than sharpening but unfortunately that is all it seems to achieve. The promised registration email has not arrived. I've now tried it with two different addresses from different email providers and neither has received the registration info after over ten minutes. The promised registration email has not arrived. Am I the only one having this problem? I've now tried it with two different addresses from different email providers and neither has received the registration info after over ten minutes. I so dislike One-trick-pony software. Unless its absolutely top class there is no point. Download Photoscape for free and click on sharpen after loading in a photo and instantly does more than this meagre offering. Not a keeper. Thumbs Down. Terry E., sometimes one-trick pony software is useful - when it works well, especially for quick & dirty (fast) editing. I totally agree with you regarding PhotoScape [http://www.photoscape.org/ps/main/index.php]. 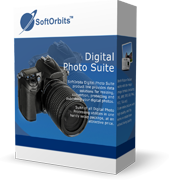 It is free for Windows XP, 7, Vista, or 8; however, not for Windows 10 (PhotoScape X Pro: $29.99). Terry E., sometimes one-trick pony software is useful - when it works well, especially for quick & dirty (fast) editing. I totally agree with you regarding PhotoScape [http://www.photoscape.org/ps/main/index.php]. It <strong>is</strong> free for Windows XP, 7, Vista, or 8; however, not for Windows 10 (PhotoScape X Pro: $29.99). Does not what it´s mention ! Bad Results ! Tripod: or buy a rope and put it on a screw for the camera. Put the rope under your foot and pull it straight. The camera will not move easily. And the rope can be put easy in your pocket. Jon Smith, Tripod: or buy a rope and put it on a screw for the camera. Put the rope under your foot and pull it straight. The camera will not move easily. And the rope can be put easy in your pocket. Self I often lean again a tree, a wall, lean on a railing . . . or lay on the ground. But also I was also a reasonable shooter/marksman, in the twenties. Donald Propp, It is not mine idea: http://phototipsguide.com/diy-photography/top-3-diy-tripods-how-to-make-a-substitutes-for-a-tripod-photo-tip/ Self I often lean again a tree, a wall, lean on a railing . . . or lay on the ground. But also I was also a reasonable shooter/marksman, in the twenties. Best comment by far...SoftOrbits totally screws with your computer...will never install anything from them again. And I'm pretty sure it's Voodoo. Jon Smith, Best comment by far...SoftOrbits totally screws with your computer...will never install anything from them again. And I'm pretty sure it's Voodoo.